Even great ideas need the right circumstances to succeed. Without the right funding or opportunity, startups can be stuck with their innovative solutions and technologies, unable to make the impact that they want. For the Tel-Aviv-based startup Neomatix, which developed an automated car tire monitor system that runs on computer vision and big data, this opportunity proved to be the New Energy Challenge: the competition that aims to find and fund the most sustainable ideas by European and Israeli startups. With their solution, Neomatix won the funding and business advice that they needed. Now that the New Energy Challenge 2017 is coming up soon, The Next Web spoke with Kfir Wittmann, founder of Neomatix, about how winning last year’s competition greatly impacted their business. TNW: Neomatix was selected as the winner of the New Energy Challenge out of 219 startups from 36 different countries. That’s a lot of competition. How did you come about the winning idea? Kfir Wittmann: We started with an idea for an image-based monitor for car tire pressure. 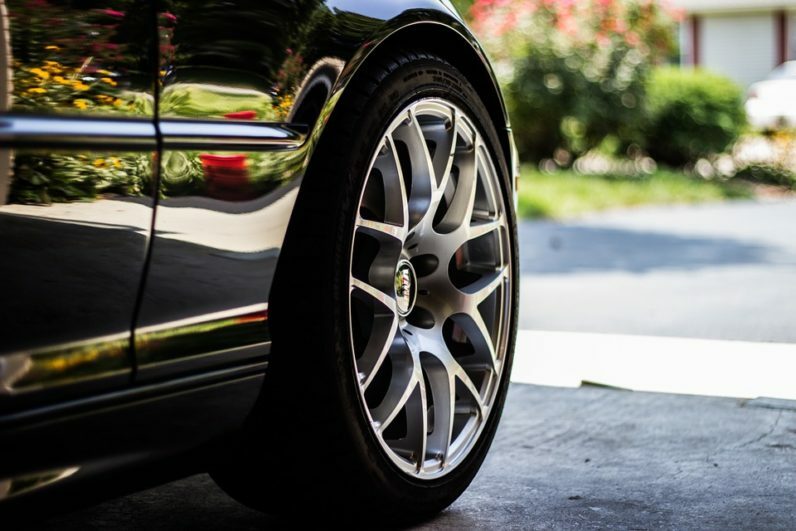 Car tires are often neglected, but if you inspect, inflate or replace them in time, it doesn’t only increase road safety but also helps save fuel and reduce our CO2 emission. We believed a gas station would be the best place for our solution since you would be able to immediately fix the tire on the spot. Gas stations would get an advantage over competitors and the customers would get their tires checked for free every time they go into a gas station. We made a rough calculation: if you put our tire pressure monitor in every Shell gas station, we can reduce between 30 and 35 million tonnes of CO2 every year. But putting it in a gas station turned out to be rather complicated. After a failed app and some new investments, we developed an automatic tire inspection system which was ideal for trucks or buses in a garage or depot entrances. It’s like an AI mechanic, who knows your car very well, inspects it every time it sees it, and alerts the manager if it finds something that’s off. We had an installation of this technology in Brazil and Canada and that is when we came across the New Energy Challenge, which brought us back to my initial dream for the system: putting our solution inside a gas station. Shell and the jury of the competition realized the potential as well and it became our winning idea. That winning idea bagged Neomatix over €100.000 in funds and a year of Shell business advice. How did these awards help out your startup? We got the keys to the kingdom. The whole company supported our development, from the tanker fleets and the retail stations to the business development units. This is the biggest impact winning this competition had on our company; that developing our technology has been a very iterative process. We ask them what we need and tell them what we can offer and then we built it together. We are still a small company, but we went from just two people and a dog to eight people and three dogs. It was exciting to go back to our original idea and get the support and validation from an established brand like Shell, which really helped us approach potential customers and investors. The cash prize and convertible loan had a significant effect on our cash flows and with hardly any income it definitely helped us in hard times. It’s been a year. Where is Neomatix now? Right now, we are in the primary design phase of our tire pressure monitor, solving how and where our solution is going to fit in gas stations, and deciding on what the interface will look like. We ran some case studies and although I’m not allowed to reveal much yet, we are cooking up something in the Netherlands.